I'm back from a long break, and here I talk about how Jays fans just aren't getting it. All throughout the Kings-Canucks Western Conference Quarter-Final series, Vancouver fans were screaming about the officiating. Canuck supporters were convinced the referees were calling penalties after penalties because the NHL wanted to see Los Angeles advance into the next round. Big market, big ratings, right? So, if these fans are right, that means the league now is trying to screw with two of the Original Six teams--Detroit and Montreal--right? From a schedule standpoint, it's bizarre. The Red Wings finished off the Coyotes in their series in Game Seven on Tuesday, then had to open their second-round series in San Jose on Thursday. Meanwhile, the Canadiens outlasted the Capitals in their seventh game on Wednesday to finish off an emotional series, and then had a short turn-around as they played in Pittsburgh to begin their next series on Friday. If Vancouver fans were crying foul in the last round, then it should be Detroit and Montreal supporters this round. The 2010 Blue Jays have started the season surprisingly well, winning four of their first five games to lead the tough AL East. But how long before they plummet down the standings? The pitching has been good so far, but how will the staff respond as the number of innings pile up? Remember, there is no more Roy Halladay, who not only pitched quality innings for the Blue Jays and sucked up innings to keep the bullpen rested. The Blue Jays had a 3-0 lead over the Rangers when Marcum walked Josh Hamilton and Vladimir Guerrero singled for the first Texas hit. With the no-hit bid broken, manager Cito Gaston still kept his starting pitcher in the game, but the next batter, Nelson Cruz, took Marcum deep to tie the game. In the eighth, Vernon Wells knocked in the go-ahead run, meaning Marcum was still in line for the victory. But alas, the Rangers rallied for two runs in the ninth off Jason Frasor to win 5-4. After the game, the media crucified Gaston for not lifting Marcum immediately after he had allowed the first hit. In fact, the manager didn't even have anyone warming up in the bullpen at the time! Or at least Gaston or someone should have gotten out to the mound to slow the game down, as the media guys were saying. The Blue Jays then salvaged the last two games of the series in Texas, including a thriller in the finale. Down 1-0 in the ninth, Wells homered to tie it, before Edwin Encarnacion's sacrifice fly scored Lyle Overbay (who had tripled). Mike McCoy added an RBI single to make it 3-1. Wells, who went 6-for-10 in the series, became the first Blue Jay to homer in each of the first three games of a season. He had four home runs and seven RBIs. On Friday night in Baltimore, the Blue Jays did it again, rallying for a two-run ninth to upset the Orioles 7-6. Brandon Morrow, acquired from Seattle in the offseason, was brutal in his first start, giving up five runs and walking five in five innings. The second consecutive ninth-inning comeback prompted FAN 590's Mike Wilner to say after the game that the Blue Jays never even come back like this five times last season. But now, two in the first four games? No comeback was needed on Saturday, when the Blue Jays beat the Orioles 3-0 in Dana Eveland's debut with Toronto. The left-handed Eveland pitched five-hit ball in 7.1 innings, and catcher Jose Molina drove in two runs, as the Jays won their fourth straight game. It didn't look good in the fourth inning, when Toronto loaded the bases but got only one run when Molina was hit by a pitch. McCoy, a rookie, could have blown the game open but instead flied out to center for the final out of the inning. But Eveland, who had an unimpressive 13-17 career record and a 5.54 ERA coming in, did the rest. The Blue Jays are expected to finish in last place this season behind the Yankees/Red Sox, Rays, and Orioles. 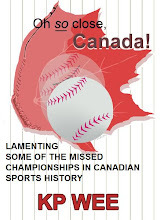 We'll see how many games Toronto can win this season in Cito Gaston's last year as manager. The Minnesota Vikings ran up the score against the Dallas Cowboys in their NFC Divisional Playoff game on Sunday. Minnesota was already ahead 27-3 with under two minutes left, and on 4th-and-3, Brett Favre threw an 11-yard TD pass to seemingly rub it in to the Cowboys. But head coach Brad Childress denied they were trying to run up the score. He shrugged it off as his Vikings simply doing their "job to score points." Sure, whatever, coach. Why does winning ONE Super Bowl make you a legend? 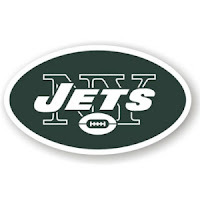 So, the San Diego Chargers lost again in the NFL playoffs on Sunday, 17-14 to the upstart New York Jets. Despite the fact the Chargers had won 11 straight to end the season and finished 13-3, they fell to the 9-7 Jets in the AFC Divisional Round. Nate Kaeding missed three field goals for the Chargers--his only three attempts of the game--from 37, 57, and 40 yards. It wasn't the first time Kaeding had struggled in the playoffs, and who knows, maybe some day he'll end up on the NFL's Top 10 Meltdowns list (which includes kicker Mike Vanderjagt and QB Brett Favre... and also coach Marty Schottenheimer, whom we'll get to later). Now, the Chargers' recent playoff struggles could be traced to two head coaches: ex-coach Marty Schottenheimer and current coach Norv Turner. Then enter Turner, who had his own dubious record. In 2007, Turner led the Chargers to an 11-5 record and two playoff wins to get to the AFC Championship Game. Alas, despite Rivers' heroics, the Chargers fell to the 17-0 Patriots. In 2008, the Chargers were 8-8 but beat the Broncos in the regular-season finale to win the AFC West. They upset the Colts before losing in Pittsburgh in the AFC Divisional Round. And this year, Turner's boys were 13-3 but they lost to the Jets in their first playoff game this weekend. Turner is now 4-4 in his career in the postseason. Now, enough of picking on the Chargers and their coaches. What about in Dallas? Wade Phillips, head coach of the Cowboys, had been 0-3 in the playoffs before this season. The Cowboys franchise hadn't won in the playoffs since 1996. But that changed when the Cowboys beat the Eagles in their NFC Wild Card Game last weekend. Alas, their magic ran out when they were clobbered 34-3 in Minnesota on Sunday. Phillips is now 1-4 in his playoff career. So, Schottenheimer, Turner, and Phillips have not had any luck in the playoffs. But my question is, why does it take just ONE Super Bowl for a coach to be proclaimed a genius? For example, whenever there is a coaching job available, for example in Buffalo, you heard about the so-called A-List of coaches who could be possible candidates to take the job. Each has a Super Bowl ring. Exactly one. In Cowher's case, in his first 13 years in Pittsburgh, he was ringless and the Steelers had hosted six AFC Title Games but lost five of them. Cowher was only 8-9 in the playoffs up to that point and hardly a genius. Then in 2005, the 11-5 Steelers--the AFC's sixth seed--won all four games in the postseason, including the Super Bowl. And Cowher is forever known as a legend. A similar deal for Billick, an offensive genius as an assistant in Minnesota. Billick then went to Baltimore and led the Ravens to a 12-4 record in 2000. Baltimore then routed the Broncos and upset the Titans and Raiders to get to the NFL title game, before dominating the Giants 34-7 in Super Bowl XXXV. Since then, the Ravens made the playoffs only three more times under Billick before he was fired on December 31, 2007. The most disappointing playoff loss came in the 2006 season, when the Ravens were 13-3 but lost to the eventual Super Bowl champion Colts 15-6 in their first playoff game. But, Cowher, Billick, and the others, are geniuses. When the New York Jets lost to the Atlanta Falcons at home with two weeks to go, they dropped to 7-7 and Coach Ryan assumed his team had been eliminated from playoff contention. But once the Jets won their final two games and clinched the No. 5 seed in the AFC, Ryan proclaimed his club to be the team to beat. In fact, he gave his players an itinerary which included the Super Bowl in Miami and a parade in NYC to celebrate a championship. He told the press that he didn't see why his team shouldn't be the favorites to win the Super Bowl. After all, he believed in his club and he knew the Jets had the best defense in the NFL and they could run the ball as well as any other team. After the Jets beat the Bengals on Wild Card Weekend, they went to San Diego and knocked off the Chargers--who were coming off 11 straight wins to end the season--in the AFC Divisional Round. Now, they will head to Indianapolis to face the top-seeded Colts in the AFC title game. Wouldn't it be ironic if the Jets could upset the Colts 41 years after New York shocked the Baltimore Colts to win Super Bowl III? Back in January 1969, Rex Ryan's father Buddy Ryan was in his first year as a coach (Linebackers Coach) with the AFL's Jets. And Buddy Ryan won his first Super Bowl ring with the Jets. In Week 16, the Colts were 14-0 and playing the Jets in Indianapolis. But Colts head coach Jim Caldwin rested MVP QB Peyton Manning and other starters. Backup QB Curtis Painter was ineffective, helping the Jets win to stay alive. In Week 17, the Bengals, who had clinched the AFC North and had nothing much to play for, also rested some players and were blown out 37-0 by the Jets. Had the Jets lost against the Colts, they would have been all but eliminated. Instead, with the win in Indy, they took control of their own destiny over the Broncos and the other AFC Wild Card pretenders. Had the Jets lost to Cincinnati, they would have finished out of the playoffs. It was that simple: Win in Cincinnati, and they would claim the No. 5 seed. Lose in Cincy, and they were out. Of course, they made it, and upset the Bengals in the Wild Card round. Wouldn't it be ironic this Sunday if they upset the Colts too? Beating the two teams that basically allowed the New York to sneak into the playoffs because those two teams decided to rest starters? One thing for certain: the Giants must be kicking themselves now. The Giants, who started 5-0, collapsed at the end and missed the playoffs. Had the G-Men been able to make the postseason, who knows? Maybe New Yorkers could be dreaming of an all-New York Super Bowl this year. And had the Baltimore Ravens (the No. 6 seed) been able to upset Indianapolis on Saturday, then the AFC Championship Game would be played at Giants Stadium instead. I'm not a Peyton Manning fan. But, here's my take on the way he handled himself when rookie coach Jim Caldwell took him out of the game. According to the AP, Manning was quoted as saying: "It was the plan, the organizational philosophy that we were going with, and, as players, we support that." He was SOOOO unlike that Minnesota QB. KP Wee, a teacher and market researcher, lives in the Pacific Northwest. An avid sports fan, Wee has also self-published three sports titles: 1991--The Red Sox, Baseball, and Hockey Memories, Baseball Pitchers--The Most Overrated and Underrated in the Last 20 Years (1988-2007), and Bad Managers’ Decisions--Why the Longest Drought in Boston’s History Happened (1986-2003). Wee enjoys writing tremendously, and doesn’t restrict tapping his fingers on the keyboard exclusively on fiction or sports subjects. “Writing is a passion; I love to write and give my two cents on every topic out there, even if it’s controversial and unconventional.” Wee is single and relishes his busy and active lifestyle.